Cool Comics returns to The PopCulteer this week as we look at the latest really nifty historical collection assembled by Craig Yoe, “Archie’s Madhouse.” This book is a real nostalgic treat for me because, as a very young kid, this comic book, one of many sort-of-imitators of “Mad Magazine” was one of the comics that would entertain and confound me to no end. See, back in those days it was hard to keep up with comic books. There were no comic book stores, we had to seek out our books at newsstands, drug stores, grocery stores, any place that might carry a magazine usually had a comic book rack, but you couldn’t find all the comic books from the various publishers in a single place. Finding consecutive issues of a comic was nearly impossible, especially if you were under six years old. Some stores got some brands of comic books, and some got others. It was almost impossible to find Marvel Comics in West Virginia up until around 1965. Distribution was spotty and erratic, and for a book like Archie’s Madhouse, finding one on a comic book spinner rack was a rare treat. I have vivid-but-questionable memories of buying one at a newsstand on Quarrier Street on a rare downtown trip when I was six or seven years old, but for the most part I had to rely on whatever I could sneak and read from my brother and sister’s comic stashes. 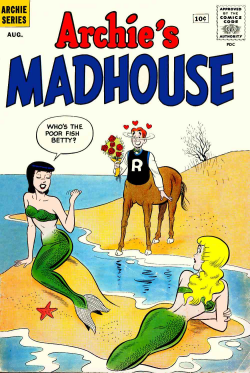 Compounding the rarity of finding Madhouse on the stands was the fact that the book changed titles frequently. 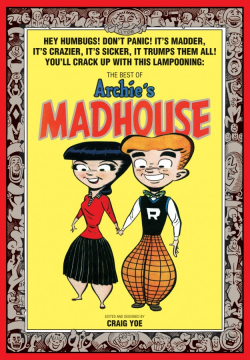 It started out as “Archie’s Madhouse,” then simply became “Madhouse,” then it turned into “Madhouse Ma-ad Joke Book” and quickly into “Madhouse Glads” before reverting to “Madhouse” again, with several other title variations scattered throughout the run of the book. The contents were even more varied. Originally there were lots of appearances by Archie and his gang, but there were also short little satires and parodies and a healthy dose of “weird humor” featuring monsters and aliens. The hook for me was the superhero parodies that took center stage in the book during the “Batman” boom of the 60s. The book was divided into different sections like the “Teenage Section,” the “Monster Section,” the “Outer Space Section.” It was a smorgasboard of purely silly humor, designed to poke fun at whatever was popular with teens at the moment. 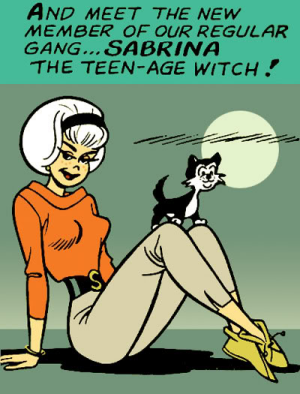 Sabrina the Teenage Witch made her debut in Madhouse, and the book seemed like a place where the veteran Archie artists could cut loose and get a little crazy. Some of the humor seems a little quaint now, since it was middle-aged white guys trying to appeal to hip kids, but it’s all well-crafted and executed with enthusiasm. Yoe, as always, has done a masterful job of curating this book. His informative introduction explains a lot of the mysteries of the title changes and odd publishing shenanigans that were totally confusing to a young kid growing up in the pre-internet dark ages. Some of the behind-the-scenes anecdotes are priceless, too. Yoe’s design work mimics the silliness of the original book, with the full page section intros, and backwards and upside-down text dropped in for cheap laughs. His selection and restoration of the comics is top-notch. We get a healthy dose of primo Dan Decarlo art (he was the creator of Sabrina, and was known as the artist who drew the hottest Betty and Veronica back in the 1960s), plus some surprisingly sharp work by Archie veterans like Samm Schwartz, Bob White and Joe Edwards. Yoe even presents a rare story published by Archie Comics that was drawn by the legendary Wally Wood (Mad Magazine, Weird Science, Witzend). 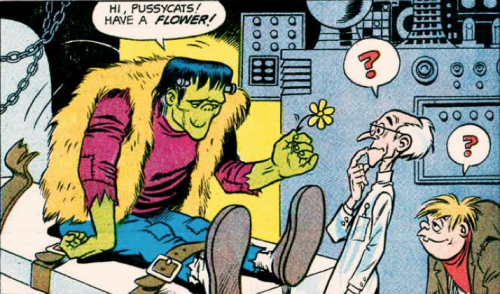 Wally Wood illustrates the tale of a prototypical Groovy Ghoulie. There is a chance that this might just be the first in a series of books revisiting Archie Comic’s foray into slightly twisted humor. I hope this volume sells enough to merit more, because it is a treasure. “Archie’s Madhouse” is a groovy artifact of how bizarre mainstream humor could be back in the 1960s. Aficionados of the era will love the “Beatnik” and “Hippie” humor, while fans of the weird will love the monsters and sci-fi bits. Add in a good amount of Archie and Sabrina, and you have great time capsule of offbeat humor. The big day is Saturday, and you should all head South to Madison and check out the roller derby action. The Renfields are playing during the intermission! Tickets are a mere five bucks, and part of the proceeds go to help a local boy who’s suffering from leukemia. Check their website for more details. 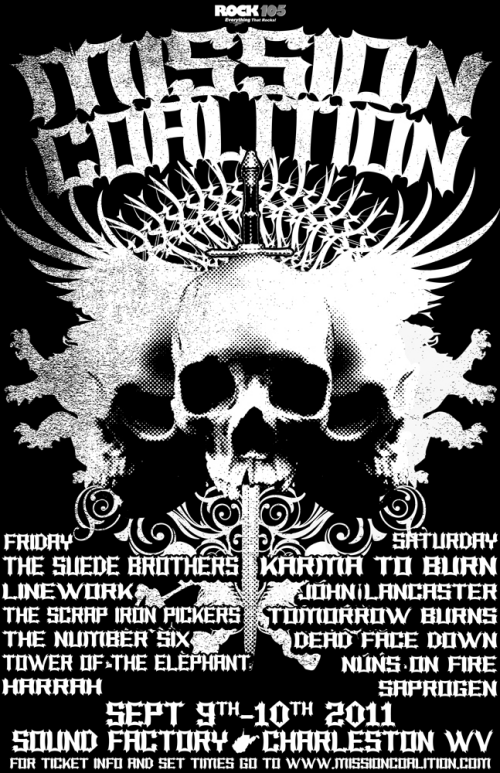 Heavy Metal mavens won’t want to miss Mission Coalition, Charleston’s first local two-day metal fest, taking place at The Sound Factory on September 9 and 10. Hit up their website for pre-sale tickets, plus T-shirts and other goodies. If you miss this you’ll want to bang your head against the wall, instead of simply banging your head. Did You Feel That Fracking Earthquake? Yep, the Earth moved this week, and not in a fun sort of way. Here’s a link to some info that might be enlightening to those proponents of Marcellus Shale extraction, if you could ever get them to read it. By the way, this week, the United States Geological Survey slashed their estimates of the amount of recoverable natural gas in the Marcellus Shale by 80%. In case you’re one of those folks who doesn’t believe that humans can affect the weather or the environment, check out this debunking of your debunkery. While the pages are beautiful, it’s a bit of a pisser because the project never went any further than these samples. Imagine how cool this would have been. 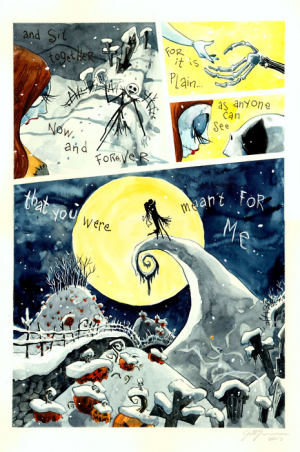 Visit Jill’s Tumblr page for a better look at the sample pages and other cool stuff. Don’t forget to check out this week’s episode of Radio Free Charleston, focusing on Frenchy and the Punk. It’s a rather nifty edition of the show, which includes cool short films by K.D. Lett and Frank Panucci, and it landed us in print in this week’s Gazz with color graphics for the first time since episode 76! There’s lots of cool stuff happening in Charleston this weekend, so here’s the quick rundown. Friday night you can catch RFC fave, Casi Null, at The Daily Cup with Katrina Brown and Marium Bria. It’s from 6 to 9 PM at The Daily Cup is in South Charleston, across from the Mound. There is no cover charge. Call 304-205-5897 for more details. Live On The Levee features Morgantown’s The New Relics and RFC guests Andy Park and The Kountry Kats. It starts at 6:50, and is also a wonderful freebie. Another case of incredible live music for free is at Taylor Books, where InFormation, who can also be seen on RFC 142, lodged up there earlier in this blog, will be playing their hyper-intelligent progressive alternative creations. It kicks off at 7:30 PM. If you’re up for a roadtrip Friday night, you can head down to The Discount Cinema in Huntington as Downhome Decadence presents “Repo: The Genetic Opera” at midnight. 24 hour later, the Downhome Decadence crew fires up “The Rocky Horror Picture Show” in the same location. Saturday night the big show is at The Blue Parrot, where five bucks will get you in the door to hear RFC guests Beaver Knievel with The Transmissions and the long-awaited return of Eighty Three Eighty. The show kicks off at 10 PM and is 21+. Next week in PopCult we’re going to pretty much do the usual, but if you’ve read this far, chances are you won’t want to miss it. We are hard at work on the next two episodes of Radio Free Charleston. The next show should hit a week from Monday.